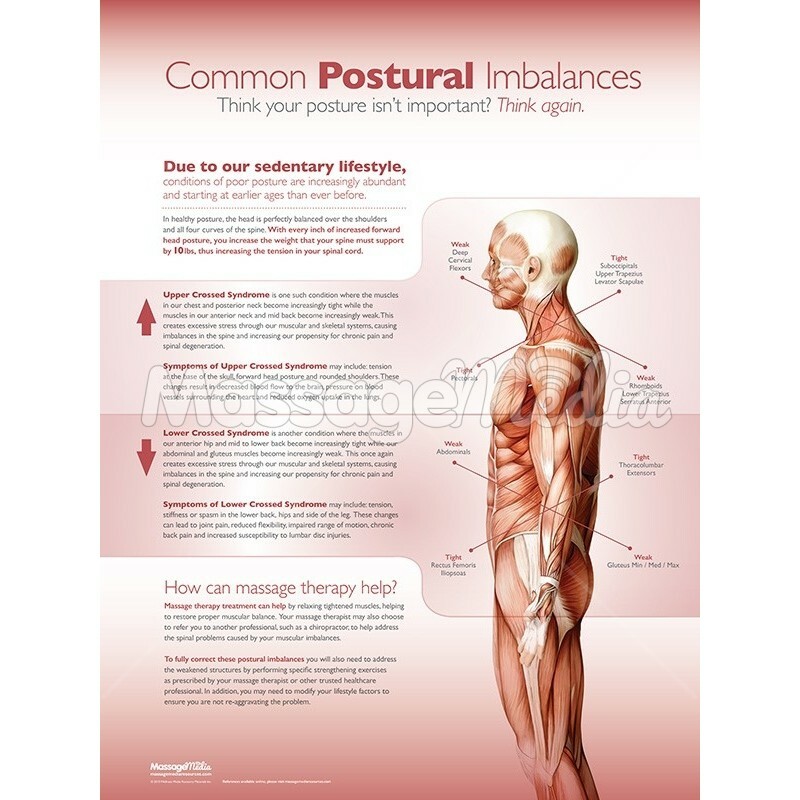 This 18" x 24" massage therapy poster focuses on upper crossed and lower crossed syndromes. 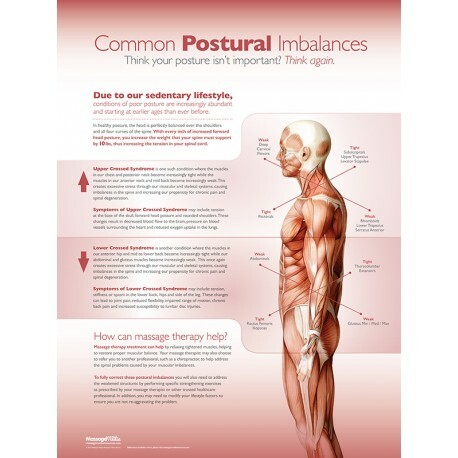 Educate your patients on these common dysfunction postural patterns. A description of upper crossed syndrome and lower crossed syndrome is following by a section outlining how massage therapy can help combat these postural issues.